Here’s what’s up in the world of TV for Monday, May 22. All times are Eastern. 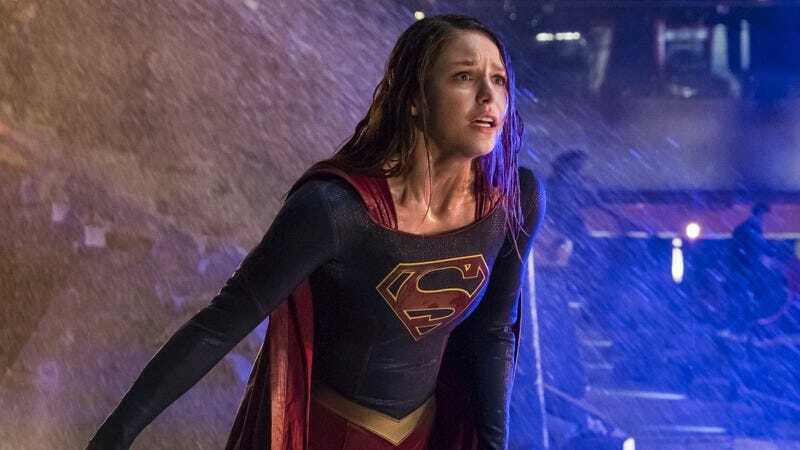 Supergirl (The CW, 8 p.m.): It’s bad enough that Kara Danvers (Melissa Benoist) has had to duke it out with Rhea (Teri Hatcher) and a fleet of Daxamite ships. But her battle with who might otherwise be her future mother-in-law has now roped in her Kryptonian cousin, Superman (Tyler Hoechlin), who appears to be under some kind of mind control. “Nevertheless, She Persisted.” That’s actually the title of the season two finale, which Caroline Siede will steer you through. Jane The Virgin (The CW, 9 p.m.): Speaking of trouble in the family, Jane (Gina Rodriguez) has to put out a bunch of premarital fires ahead of her parents’ wedding in the season three finale. There’s trouble with the dress, press, and weather, but that’s nothing compared to the secret Darcy (Justina Machado) is carrying. Oliver Sava will be in the pews, waiting to throw rice at the couple, should getting hitched go off without a hitch. Princess Diana: Her Life, Her Death, Her Truth (CBS, 8 p.m.): It’s been 20 years since the death of Diana, Princess Of Wales, but the tragedy’s never really faded from the public consciousness. Gayle King hosts this two-hour prime-time exploration of the public and private life of England’s beloved royal.